This November 3 and 4, there will be a fun and exciting bazaar at the Elements Tent at Centris, where you can buy a ton of great items at up to 70% off! 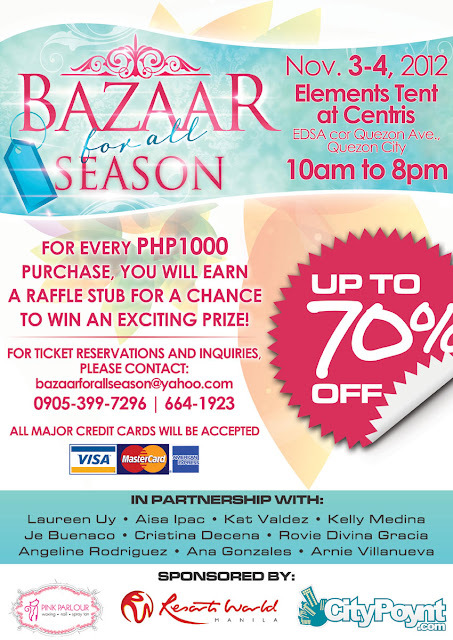 If you love bazaars, then this would be the perfect place to go to this weekend. The best part is that entrance tickets are only Php50! There will be food stalls there, as well, so you won't go hungry, either! Did you miss out on the Halloween festivities last night? Or do you simply love dressing up for Halloween? Then get your freak on at Il Terrazzo's Fright Night at the Ariato Function Center of Il Terrazzo this Saturday night at 8pm! 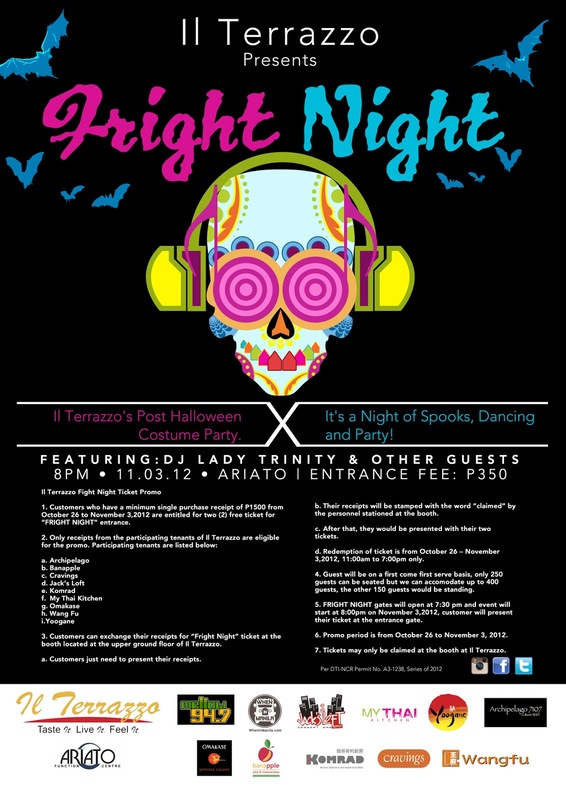 Dance and drink the night away in your best costume while listening to DJ Lady Trinity spinning thrilling tunes and free booze care of Asia Brewery. More surprises also await at the event itself!